Yesterday, after months of teaching my young daughter how to “doggy paddle,” she finally swam the pool’s deep end. Alone. Not long after this momentous occasion, one of my other children (who will remain nameless) splashed water into my right ear. Hours later, that ear still hurts. Hearing aids are useless when I have swimmer’s ear because the fluid makes hearing difficult in that one ear. My question is: How do you cope with fluid in your ears—either from swimmer’s ear or an infection—and the struggle to hear even with hearing aids? How do you listen to those around you when your hearing is comprised even more than usual? Please post your comments below. I am all ears to your suggestions. when I have an ear infection or swimmers ear, its easy for me to still communicate, I just sign with my family. but, to cope with the annoyance of swimmers ear I have done this before, and it has worked for me, though its not guarenteed. “mixing 1 teaspoon of white vinegar and 1 teaspoon of rubbing alcohol in a bowl, putting a few drops of it on a cotton ball and sticking that in your ear for about 30 minutes 3x a day.” I did notice when i did it, my ear did get a little dry inside, but if you use a q-tip with some tripple antibiotic ointment on it about 30 to 45 minutes after you have removed the cotton ball and leave your aids out for about an hour, it helps keep them from drying out the skin too much. A way to prevent swimmer’s ear is to wear swimplugs. Earplugsuperstore.com is the best website I have found globally for earplugs. They have every kind of plug imaginable, list the brands and the product information is outstanding. Once you have a hearing infection, it is essential to keep hearing-aids free from bacteria. No antiseptic wipes as the alcohol in them can cause eczema. Like nappy rash, the best thing is to keep the area open to the air. That means no hearing-aids for 24 hours, if you can last that long. Drystore is a device that you plug in and dry the hearing-aids overnight. This makes wax crumble, keeps tubing supple and means you put a dry hearing-aid into an ear. To help prevent any more infections, you can also buy an ultra-violet light version that destroys bacteria. Conflict of interest for me as I sell it from a commercial site but I’m not apologising. I believe in it. Debbie – Thank you for the suggestions. After 24 hours of no hearing aids and using an over-the-counter product called “Swimmer’s Ear,” my ear feels better today. I will keep all of your ideas in mind to prevent this from happening again. The ‘swimmer’s ear’ drops you mention sound similar to the alcohol-based eardrops my mum made us use after going swimming. They’d dry out our ears and kill most of the infection-causing germs we’d pick up frequently otherwise! I think they’re great to use after swimming routinely to dry out your ears – especially if you wear earmoulds (which I do, usually). Hi Alison – Thanks for mentioning the ear drops. ‘Summer’s Ear’ (I used a generic version from my pharmacy) is a very helpful product. As a child, I remember my mom placing a cotton-ball dipped in peroxide inside my ear when I had an earache or water lodged inside. This was before we knew anything about over-the-counter products, like Summer’s Ear. How things have changed…for the better! 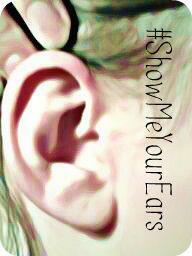 That over the counter “swimmer’s ear” should not go into a person’s ear if they have a tube in the ear. Just letting you know because a friend recommended it for my son. I asked the doctor and he said no because it has chemical in the solution that will burn the inside of ear, as the tube is directly set into ear to drain fluid out. My son has to have a prescription to put in the ear with the tube after swimming. I am glad I doubted my friend. My son would have been really hurting if I took his advice. Terri – Thanks for the FYI. It has been years since tubes were placed in my ears (I was 18 months old), and they are no longer inside my ears. However, I’ll remember your advice with my youngest son who has tubes in his ears. This is good to know. Something my doctor gave my parents when I was little and having this problem. 1 part alcohol and 1 part vitamin E oil. The oil will keep the ear from drying. Then for any earache, use 1 part alcohol, 1 part peroxide and 2 parts water. This also works for wax build-up. I have been using them since I was 6 and am now 49. Had a doctor about 10 years ago say he didn’t like that and gave me a prescription for swimmer’s ear. That prescription has now been removed from pharmacies and my current doctor says to use what my childhood doctor told us to use. Thanks for the tip, Kristina! Thanks for the tip, Elsie! Ear infections are one of the most common reasons parents take their children to the doctor. While there are different types of ear infections, the most common is called otitis media, which means an inflammation and infection of the middle ear. The middle ear is located just behind the eardrum..
Forest – Thank you for the comment and the information!